At Sea Mills we have a very successful School Learning Council that is made up of two children from Year one to Year six who have been elected into the role. The school council plays a fundamental part in helping towards the improvement of Sea Mills Primary and Children’s Centre and is run by the children. The school council meet regularly to discuss things such as; the learning environment and how it supports learning, the school development plan, how the curriculum is taught and any issues that might arise from class learning forums. The School Learning Council is led by Mrs Kirley. At Sea Mills Primary School and Children’s Centre we believe that the child’s voice is key in whole school development and with this in mind; class learning forums have been created. 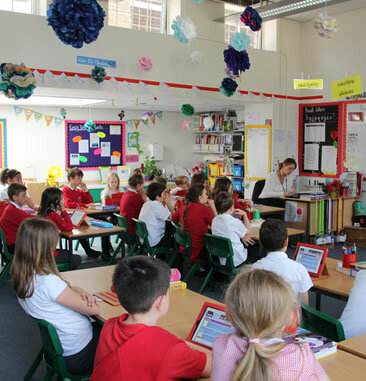 Class Learning Forums happen on a weekly basis and are run by the children. These sessions allow the children to express their opinions about all aspects of school life and to collaboratively decide how things could be improved or developed. School council members take issues to class learning forums that need to be discussed and vice versa. These school improvement suggestions are then reported to the SLT where they are acted upon.